What Is Spirituality? Why Is Spirituality Of Value In Your Life? What is spirituality? Many people say that they are spiritual. Yet when they come to actually define spirituality, it is not always clear exactly what they mean. Using one of the many high vibration crystals may boost your connection with the spirit world. 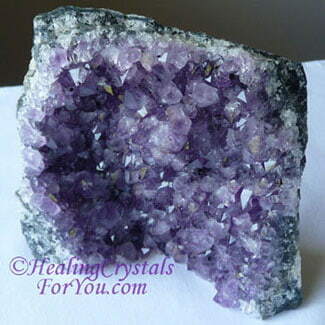 There are many healing crystals for you to choose between that are in this category. Meditating with high energy stones makes you aware of the reality of this place known as spirit, or the higher realms, and its association with who you are and how you live your life. I would have to say I am aware that there are many different approaches to spirituality. So I will give you my definition of spirituality and try to be as clear as I can about what I personally mean. My definition of spirituality is strongly linked to the belief that the soul, or higher self, continues on after the physical death of the body. I combine with this the need therefore to live my life with this knowledge in mind. There are many religions in this world, and most believe in life after death. If you too believe this, you might choose to ask yourself this question. What is spirituality? and does the way I live my life effect the possibilities of the way I will experience life after death? This question is simply asked to bring your attention to some questions you may wish to consider. I believe that the principal of asking yourself, what is spirituality, is an important part of helping you to find your purpose. It took me a long time to find my purpose, and I am grateful that the gifts I have developed have come to me through my contact with the Divine. Having crystals in your environment can create positive changes in your life, and help to raise your vibration which flows through to your spirituality. 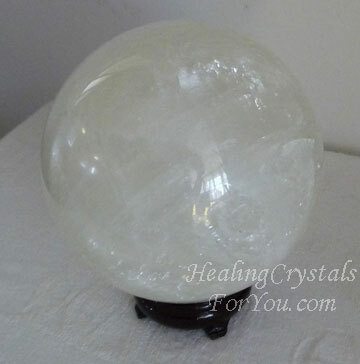 I keep many crystals in my living space, including this quite large White Calcite Crystal ball. The link between spirituality and health is a major part of my life, and the addition into my life of healing crystals was prominent in my decisions about how I would live my life going forward. By using specific crystals it is possible to heighten many of the gifts you have, including helping to enhance your creativity and various psychic abilities or gifts. Using crystals has assisted me to become a better healer. 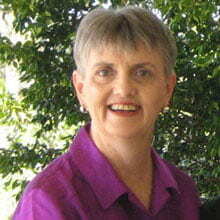 My commitment to healing and to using crystals as part of my healing practices is why I have started this web-site. 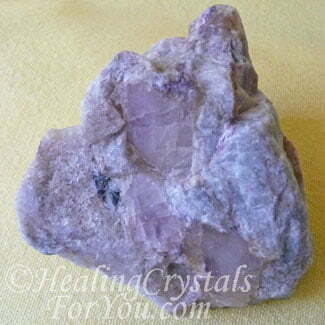 Using high crystal energy stones such as Apophyllite, Pink Petalite or Danburite, see images below, aids you to actually make a connection to the angelic realm. Once you have had these powerful experiences of traveling to the Higher Realms, you will find your spirituality will advance in new ways. 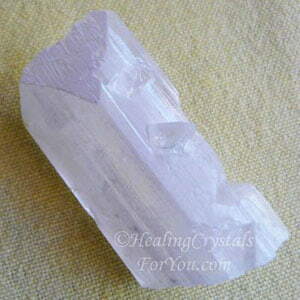 My crystal collection has become an integral part of my life, and I surround myself at all times with them. 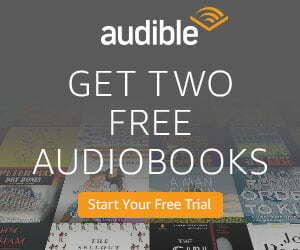 I have personal knowledge of the benefits they may bring to anyone using them. The benefits are extensive, including acceleration of ones spiritual path. I believe that the ability of each of us to heal, both ourselves and others, is paramount to this issue, and is related to the question, what is spirituality? What Is Spirituality & Its Role In Your Life? The use of healing stones or crystals, and specific chakra stones, can be used to accelerate new abilities in many different fields. There is a long list of the different crystals healing properties. If you wonder what is spirituality, you may find that as you begin to heal yourself and others you may discover that new gifts begin to develop. I believe in spirituality, and it is my personal commitment to live my life in a way that reflects that ideal. Integrity and spirituality go hand in hand. Living your life with integrity is enormously important. My belief is that crystals are part of the creators Divine plan, as they have a strongly spiritual aspect to them. Holding a crystal in your hand that has strong crystal energy makes an instant connection to spirit. Therefore my belief that the Divine has brought these tools to us for healing purposes is absolute. Many highly spiritual people are ungrounded, and health problems can develop if you remain ungrounded too long. Ensure that you take action to do spiritual grounding on a regular basis, and this may include doing a grounding meditation, which is very effective. 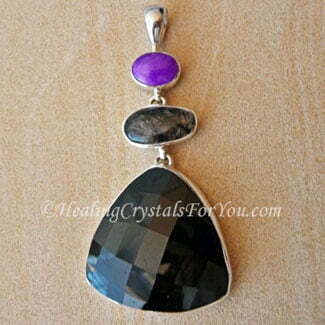 There are a number of very powerful crystals that are very effective to have in your environment for protection from negativity, including Black Tourmaline and the lovely purple Amethyst Crystals. 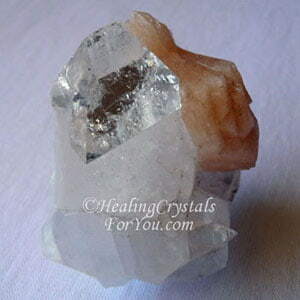 Use these crystals to ensure that good vibrations surround you as often as possible. A problem many healers run up against is psychic attack. 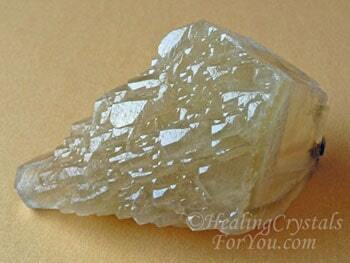 Using protection crystals is so much more effective than other spiritual or psychic protection methods. Part of the question, what is spirituality, is considering the meaning of spirituality in your life. How can you fit spirituality into your overall thinking and planing of your life? And for me the second question is, do crystals fit in with these ideals, for living life on purpose? Developing psychic abilities such as clairvoyance, clairsentience and clairaudience just seems to come naturally to many healers. This is particularly common, if you are using some of the third eye chakra, crown chakra or soul star chakra stones in your healing. Many of what are labeled psychic powers are simply another part of the question, what is spirituality. Using your psychic skills that are given to you by spirit is very important. The simple act of being of service, being grateful, doing healing, together they bring healing to the healer on many levels. If you have a strong belief that the spirit goes on after the physical body dies, and that you can make contact with the spirits of those who are now on the other side, you may choose to call yourself a Spiritualist. An alternative "religion" based around this belief, called Spiritualism, has now developed. Many people believe that psychic ability should be used to make contact with spirits who have passed over. This helps to mitigate the fear many people feel about death. This includes using the gifts of mediumship and psychic visions, also known as clairvoyance. How Does Spirituality Help Your Life? I feel that spirit wants to give us these gifts or they would not become available to us. Developing intuition, better psychic communication abilities and healing abilities all come from spirit. By finding your spirit guide, and using the psychic gifts that evolve over time, you will develop your spiritual gifts. And they can be enhanced by the use of specific crystals. I feel blessed by the gifts I now have access to. If you have been asking yourself, what is spirituality, I hope I have helped you to be more clear on the answer. I am grateful for all that spirit has given me and the knowledge and guidance that is constantly sent my way. I know that using crystals has given me greater spiritual gifts and for that I give thanks to Spirit! Close the door on the past, open the door to the future.